Opening hours: Shops are open from Mon-Sat 10am-12pm and 4pm-8pm, while restaurants and clubs have to close at 11.30pm. Banks operate Mon-Fri 10am-2pm and Sat 10am-12pm. Despite Bangalore´s sudden development, the city preserves its charm unaltered, in a plethora of old buildings, temples, colorful markets and peaceful gardens. The extraordinary timber-built Tipu Sultan Palace in the heart of the city gives a fascinating glimpse into Bangalore’s past, and a sense of perspective in this wannabe-modern city projected into the future. A renowned 17th-century temple and the ruins of Bangalore´s fort are only a few steps away, creating a hub of historical constructions. 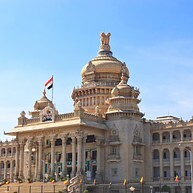 Karnataka’s State Legislature and Secretariat building, one of India’s greatest buildings, is located north-west of Cubbon Park. Despite the rush of modern life, Bangalore has a strong religious tradition, so make sure to head to Bugle Hill and the Bull Temple. As a favorite among travelers, this breathtaking 16th-century construction literally dwarfs whoever passes by. Bangalore is a city to be experienced and explored. The Garden City is famous for its parks, with some of them dating back over 200 years, and the most impressive ones are the botanical gardens of Lal Bagh. 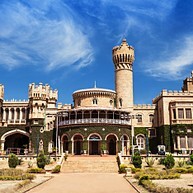 Built to resemble the Windsor Castle in England, this is the seat of the current Maharajah of Mysore, head of the royal Wodeyar dynasty. Here, you can explore the lavish interiors and, also, a surprisingly wide exhibition of nudes which is displayed in some rooms here. The Palace also serves as a stage for live concerts and events, offering a fascinating venue being rich in history, and you do not want to miss that out. 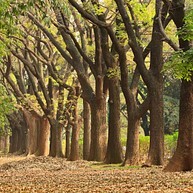 Dating back to 1864, Cubbon Park covers an area of 300 acres, and it is filled with an extraordinary selection of flora and fauna, offering a popular spot for picnics and playing cricket. 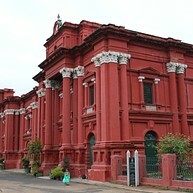 The Public Library is also located within the premises, as well as the High Court, the Government Museum and the Visveswaraiah Technological & Industrial Museum, entertaining both tourists and locals alike, thanks to its relaxing atmosphere, which is ideal for a leisurely stroll. This museum focuses on Indian sculptures, numismatic, and music, featuring artworks that date back to the 4th century an onward. Its prestigious exhibition of archaeological artifacts is the museum´s pride and a real magnet for history and art lovers. The Vidhana Soudha is one of India’s finest pieces of architecture. Located at the north-west part of Cubbon Park, the Neo-Dravidian granite palace is a blend of styles from across India, boasting the country’s most recognizable symbol, the four-headed gold lion of Ashoka. Across the road, you can spot Karnataka’s High Court building, Attara Kacheri, with its impressive red brick and monumental Corinthian column facade. As botanical artwork and internationally renowned centre of scientific studies, Lal Bagh park contains a diverse variety of flora, a deer park and one of the largest collections of rare tropical plants within whole India. Conceived by Sultan Hyder Ali in 1760, it was further expanded by his son, who planted exotic trees from Persia, Turkey, and Mauritius. An annual flower show is also held here, in the British-built-Glass House. Constructed by the end of the 18th century, Tipu Sultan’s Summer Palace is an elaborately decorated relic of Bangalore’s royal past. Originally used as a summer retreat, the palace now serves as a detailed museum of Tipu Sultan's life and glorious conquests, while the Venkataramanaswamy Temple, a 300 year old temple built by the Wodeyars, is right next door. The ruins of Bangalore Fort are also located a few steps away, bearing the testimony of Tipu's struggle against the British Raj in India. The Karnataka Chitrakala Parishath art gallery is a perfect destination for an afternoon of culture and interesting facts. Here you will find an eclectic collection of Indian and international contemporary art as well as lavish gold-leaf works, Mysore-style paintings and folk and tribal art from across the subcontinent. Do not miss the galleries devoted to the Russian master Nicholas Roerich and his beautiful paintings of the Himalayas. 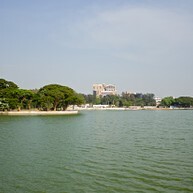 On the eastern side of the city, Ulsoor Lake represents an idyllic place par excellence, as it is ideal for both taking a stroll and relaxing in the sun. The artificial lake was constructed by Kempe Gowda II, and its area of more than 1.5 square kilometers is dotted with islands, so boating also became very popular. Opened by the end of the 80s, the Jawaharlal Nehru Planetarium is one of the most popular tourist attractions in the city. 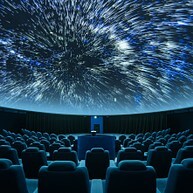 The domed sky theater has daily shows on the marvels of the universe, the planets and the solar system, delighting both kids and adults alike. The observatory is also an important feature of the building. Technology lovers should not miss the quirky Visvesvaraya Industrial & Technical Museum. 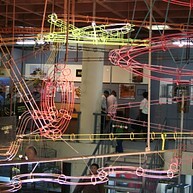 Named after the Dewan of Mysore, its five main galleries include a variety of different displays, from a replica of the Wright brothers’ 1903 flyer to virtual-reality computer games. 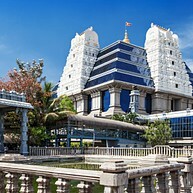 Established by the International Society of Krishna Consciousness (Iskcon), the lavish Iskcon Temple is situated eight kilometers north of the city centre. Among the five main shrines, there is an unmissable one devoted to Krishna and Radha in a plethora of elegant architecture and a meditative atmosphere. Partially inspired by the St Paul’s Cathedral in London, this one maintains a colonial style of architecture. St. Marks Cathedral is located on the busy Mahatma Gandhi Road, boasting a magnificent dome, Roman arches and the best maintained church bells in the city. 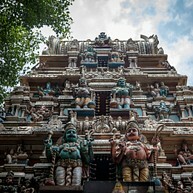 Nearby Nandi Temple is the Ganesha temple, Shree Dodda Ganapathi, and it houses an enormous statue of the elephant-headed deity made of butter. This site is very popular with locals so go here to experience their culture. Wonderla Amusement Park is an amazing time for children and an opportunity for adults to get a taste of childhood. 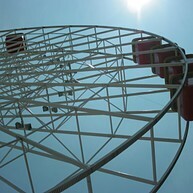 The rides are fun, exciting and will get your adrenaline pumping. Even in one day you will not find the time to go on all the rides, this is in fact one of the best amusement parks in India. Bugle Hill is the fascinating site where Nandi Temple (Bull Temple) is located. Built in a Dravidian architectural style, the object of veneration is a magnificent statue of Shiva’s sacred bull Nandi: 15 feet tall, over 20 feet long, and carved out of a single block of granite in a glistening 16th century massive statue. In November and December every year, when the groundnuts are harvested, a groundnut fair is held near the temple. 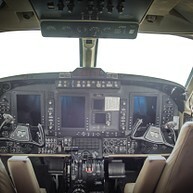 If you have ever dreamed of flying an airplane, then you should visit this exciting place. Located at The Forum Mall, you can here experience how it feels to fly a Boeing 737 with realistic controls and 3D visuals.